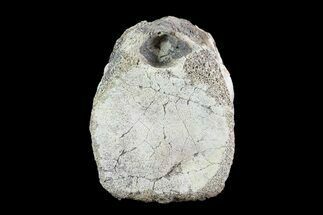 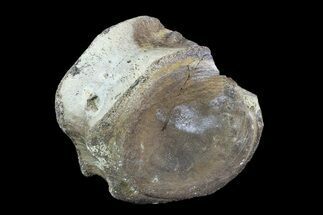 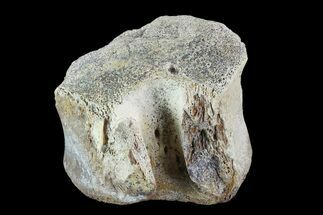 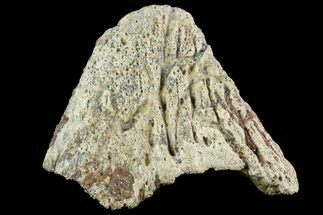 This is a nicely preserved, 3.9" long Hadrosaur toe bone from the Horseshoe Canyon Formation in Alberta, Canada. 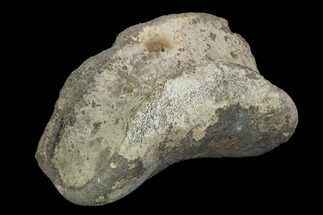 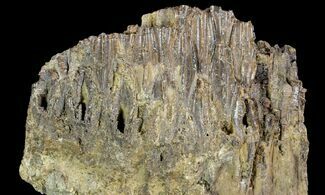 It comes from an unidentified species of hadrosaur and is Upper Cretaceous in age, between 74-67 million years old. 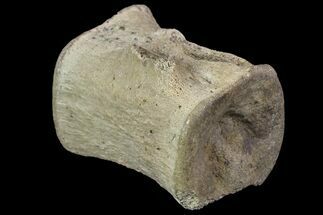 There are repaired and restored cracks through the middle of this bone. 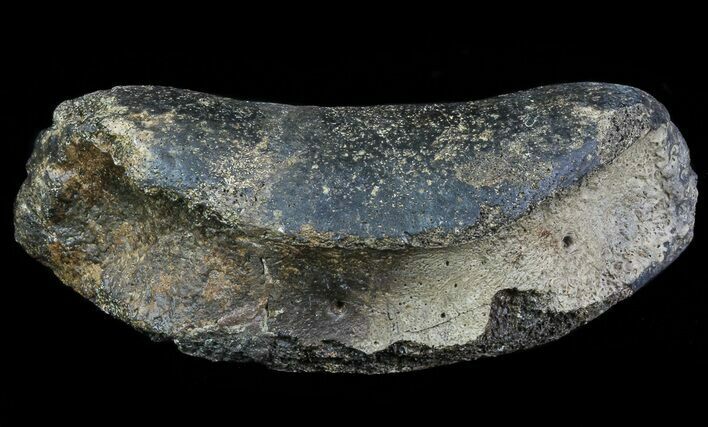 There are multiple species of Hadrosaur that come out of the Horseshoe Canyon Formation. 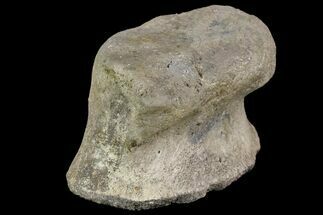 The Hadrosaurs that have been identified are Edmontosaurus, Hypacrosaurus, Parksosaurusa and Saurolophus. 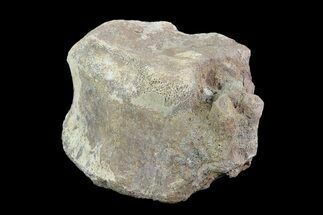 Due to the bone similarities of these dinosaurs, bones of the feet especially, as well as the unrecorded specifics from the original collector, I cannot provide an accurate genus/species identification.